What is the object of the game you ask? To try not to crush your phone as you attempt to get your athlete to run the 100 meter dash without falling on your face. BREAKING NEWS: You’re falling on your face. As you can probably guess, the name comes from the 4 letter keys you use to control your runner’s thighs(QW) and calves(OP). Though the concept seems elementary my dear Watson. It couldn’t be farther from the truth. In this incarnation of the game you control the arms and legs within two diamonds on the screen. 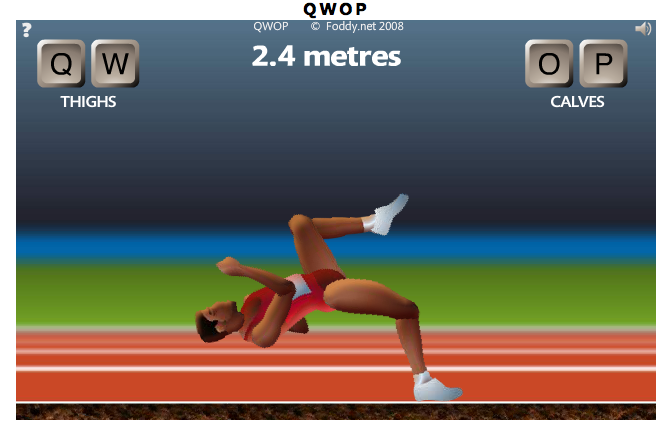 Moving your thumbs clockwise to make Mr. QWOP run. (or just fall repeatedly) In addition you can tilt your device to lean forward and backward. You can download the headache… Uh I mean game, in the Google Play store here for $0.99. An iOS version was released back in 2011 and can be purchased here also for $0.99. 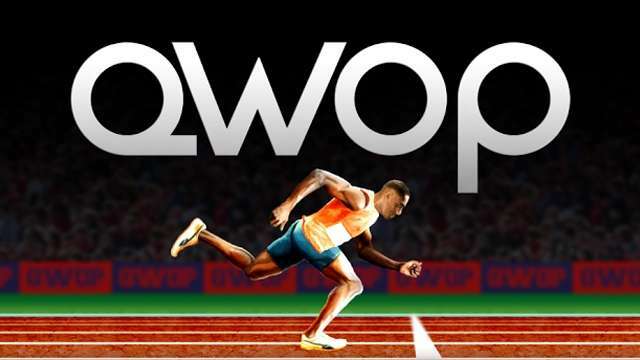 Lastly i would like to point out that i find the “QWOP” logo pictured above to be very misleading. As you will more then likely see the image below FAR more often.